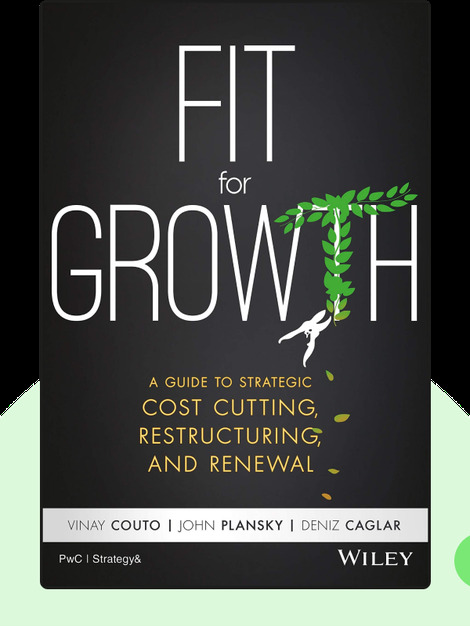 Fit for Growth (2017) explains why cost cutting is crucial to a company’s growth. 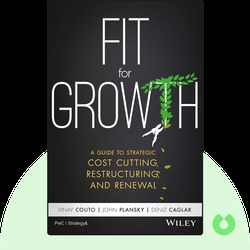 The authors cover a range of how-tos, from restructuring your organizational model to cutting superfluous business departments and achieving sustainable growth for your company. Vinay Couto, John Plansky and Deniz Caglar are all principles at the prestigious professional services firm PricewaterhouseCoopers. They have a combined 70 years of strategy-consulting experience with businesses across a wide range of industries. © Vinay Couto, John Plansky and Deniz Caglar: Fit for Growth copyright 2017, John Wiley & Sons Inc. Used by permission of John Wiley & Sons Inc. and shall not be made available to any unauthorized third parties.